Discussions Magazine Music Blog: NEON TREES/Habits: Available March 16th, 2010. NEON TREES/Habits: Available March 16th, 2010. Neon Trees' 2010 Mercury Records debut, Habits , was produced by singer/guitarist Tim Pagnotta and it's a refreshing blast of timeless Rock energy and spirit that wouldn’t sound out of place at any point from ‘60s Garage-Rock to 2010 Dance Rock. · Huge west coast radio spins for 1st single "Animal". 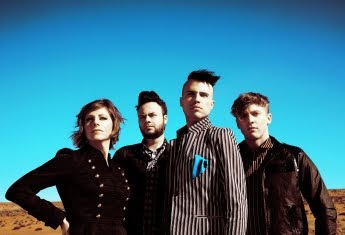 Visit Neon Trees' MySpace site HERE!